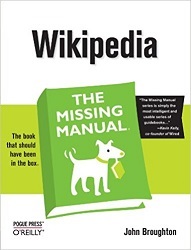 John Broughton has been a registered editor at Wikipedia since August 2005, with more than 15,000 edits by the time he wrote this book. His biggest Wikipedia endeavor was to build the Editor's index to Wikipedia (just type that in the "search" box at the left of any Wikipedia page). Wikipedia: How it Works and How it Can Work for You?